The Miami Heat were established in 1988 and with just over 2 decades of play the South Florida based basketball team has achieved a good amount of success. With 10 division titles, 4 conference titles and 3 NBA championships the Heat have become an iconic franchise in less than 30 years. Traditionally they have always been a competitive bunch due in large part to Pat Riley's involvement in the organization along with the stellar ownership of Mickey Arison. 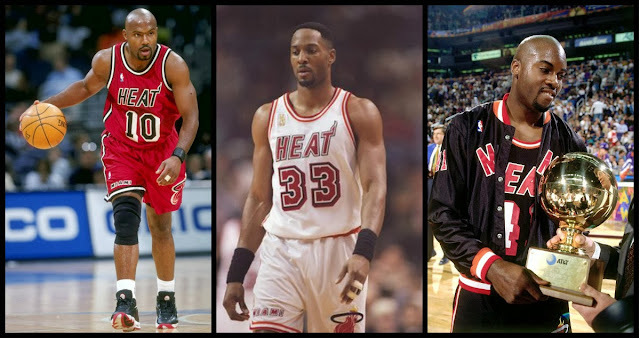 The Heat have had some great names dawn the back of those jerseys such as Dwyane Wade, Lebron James, Shaquille O'Neal, Alonzo Mourning, Glen Rice and of course Harold Miner. Today we take a look at the evolution of Miami Heat Jersey's from 1988 to right now in 2013. The inaugural Miami Heat jersey looked like a jersey from the 1990's. The colors were red, white and black which to many seems very similar to the Chicago Bulls color scheme. The lettering had a 3-D outline which reminds me very much of the Lakers jerseys at that time that players like Magic Johnson wore. It was a nice jersey with a very clean look for the young franchise. The Heat were mired in mediocrity for their first few seasons of existence and didn't become a contender until the arrival of Pat Riley, Alonzo Mourning and Tim Hardaway in the mid 90's. While the Heat collected a few 50 win seasons, they still couldn't get over the hump of the Knicks and Bulls to get to the NBA Finals. Those were fun and exciting teams in the 90's but they just didn't have that playoff success that so many expected from them. 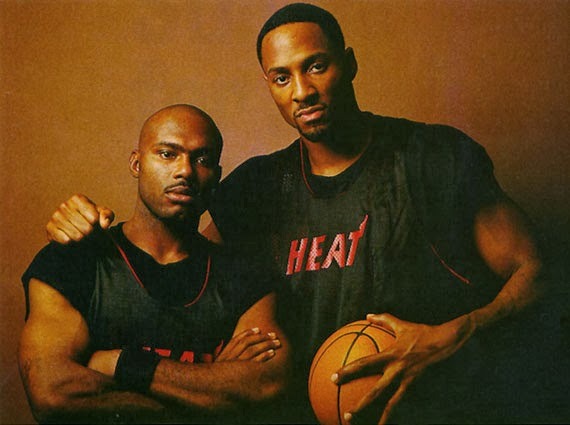 The window quickly shut on those Alonzo Morning/Tim Hardaway team and it was time rebuild in Miami. After a few year of retooling the Miami Heat had put together a team that was worth watching led by rookie sensation Dwyane Wade and grizzled vets like Eddie Jones. 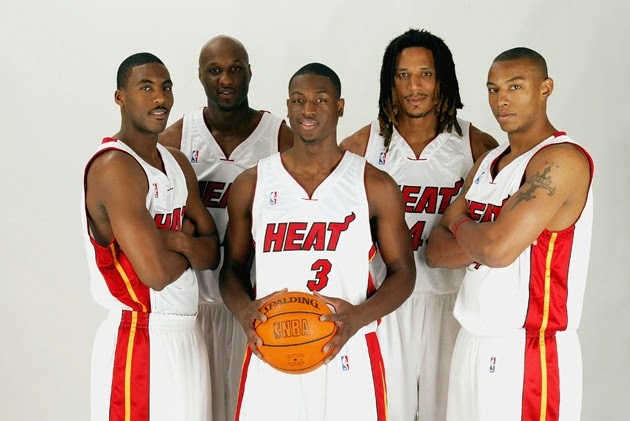 The Heat turned it around during the 2003-2004 season as they went 42-40 and ended a brief 2 year playoff drought. 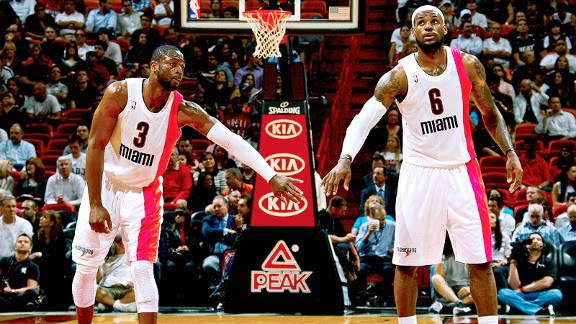 The team had surpassed expectations and huge things were on the horizon for the Miami Heat. 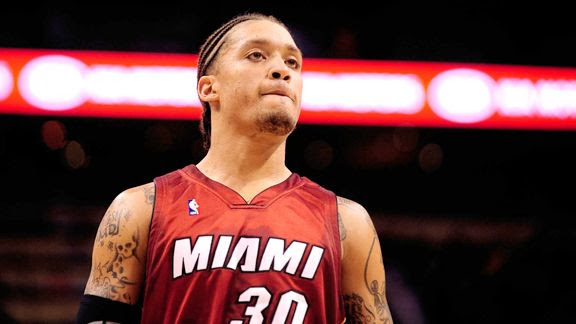 The newer much more modern jersey's of the Miami Heat had a cleaner look to them. Gone were the 3D out linings along the numbers and the simplicity of these made for a nice look. They wouldn't be the best jerseys in the NBA but they certainly aren't the worst. 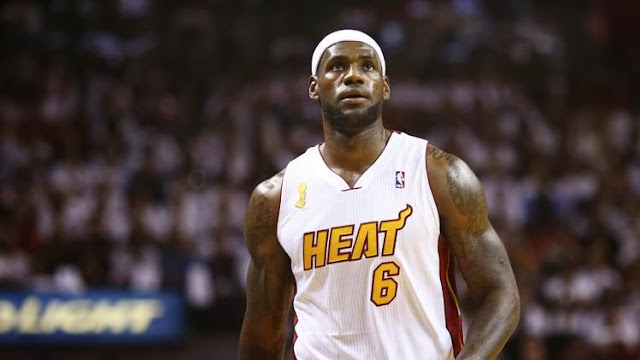 Ever since the inception the Heat's more modern look the franchise has experienced much greater success as they have captured 3 NBA championships and quickly placed themselves as an elite NBA franchise. The Heat have worn a lot of different threads on the floor over the years but lets start with the original retro Floridians ABA jerseys. During the 2004-2005 season as part of the NBA's “hardwood classics” games, teams in the NBA would wear retro ABA jerseys from their cities ABA team. 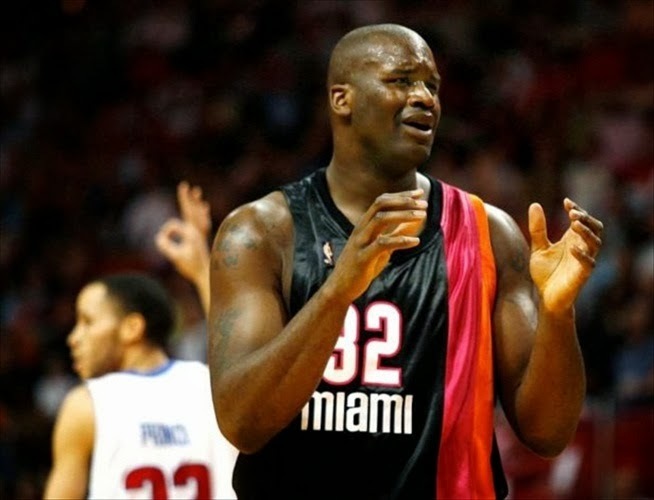 So the Heat had to wear the “Miami Floridians” jersey with the 1st one being black. The tropical colors of orange and pink would make up the lines going down the jersey. Needless to say it was a very Miami jersey. The Miami Heat have stuck with their same primary jerseys since the turn of the new millennium but they have had boatload of alternates such as the 2nd Miami Floridians jerseys. Similar in layout and color scheme the 2nd Miami Floridian was all white with pink and orange stripes, so it was the teams home jerseys for several games last season. So those were pretty cool but the list of jerseys doesn't stop there. The next series of jersey's all come from a very simple concept. That concept is taking one color and using only that one color for the whole entire jersey. Color schemes such as white on white, black and black and red on red have all been new jerseys the Miami Heat have introduced in the last 3 seasons or so. Kind of tacky to me but some people like them, can't knock how Miami the white on white jerseys are though, those just seem right. The very last new jersey the Heat wore came this season on opening night as they hung up their 3rd championship banner at the American Airlines Arena. They wore what is their regular home white's except that the middle of the jersey that would read “Heat” and normally be red was solid gold. Coming off the back to back championships I guess the Heat wanted visually remind people of who was king of the NBA. Great jersey and very well put together. Nothing like the power and vigor that a blazing font can bring. Probably why the one under the '10s label looks kinda weird: minimalism pushed into microscopic levels, perhaps? The numbers look weird. Still, the Miami Heat label can be noticed from a mile away and is always as impacting as their legendary record.